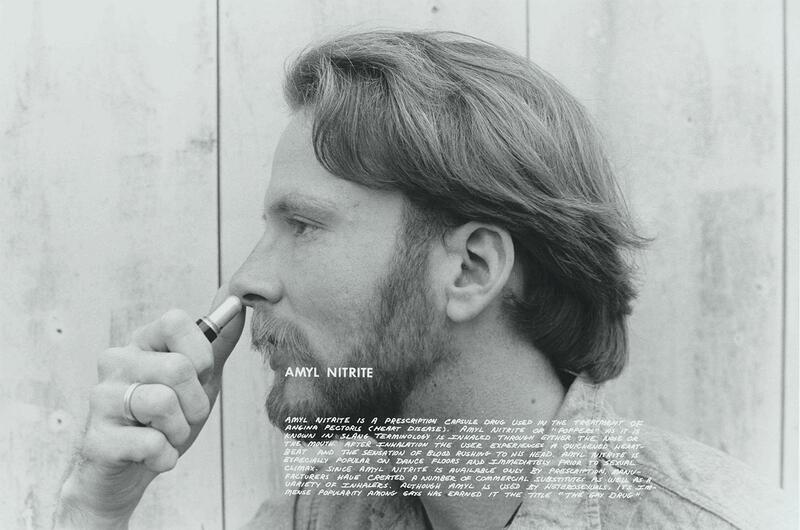 Hal Fischer: Gay Semiotics is a tongue in cheek look at gay life during the 1970s in San Francisco (PHOTOS). 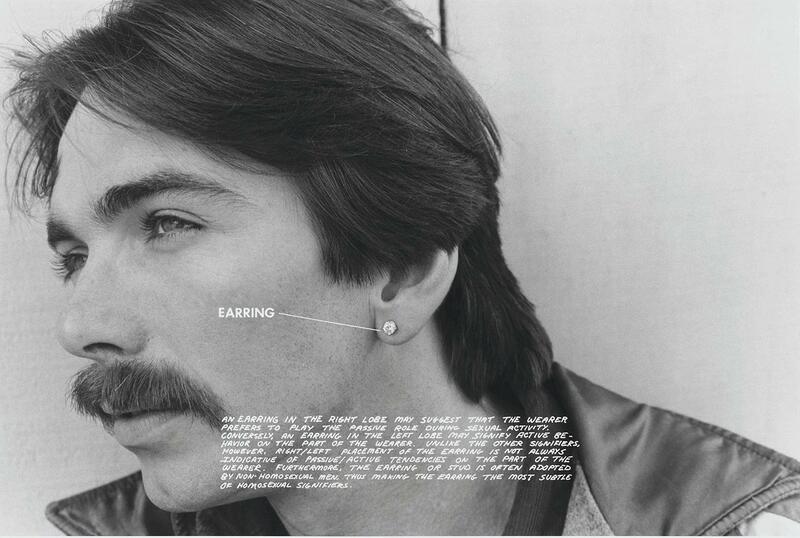 Hal Fischer’s 1977 book, Gay Semiotics, is a tongue-in-cheek look at gay life in San Francisco’s Castro neighborhood. If the same type of work were attempted today, say in New York’s Hell’s Kitchen or Chicago’s Boystown or even in the Castro, the work wouldn’t walk the same fine line of artistic expression and anthropology. That’s because Fischer was uncovering a way of life that wasn’t celebrated outside of the gay world. The work feels like a precursor to some modern-day blogs that combine street photography and portraiture—like The Sartorialist or Advanced Style—but with a focus on the various subcultures within the gay community. 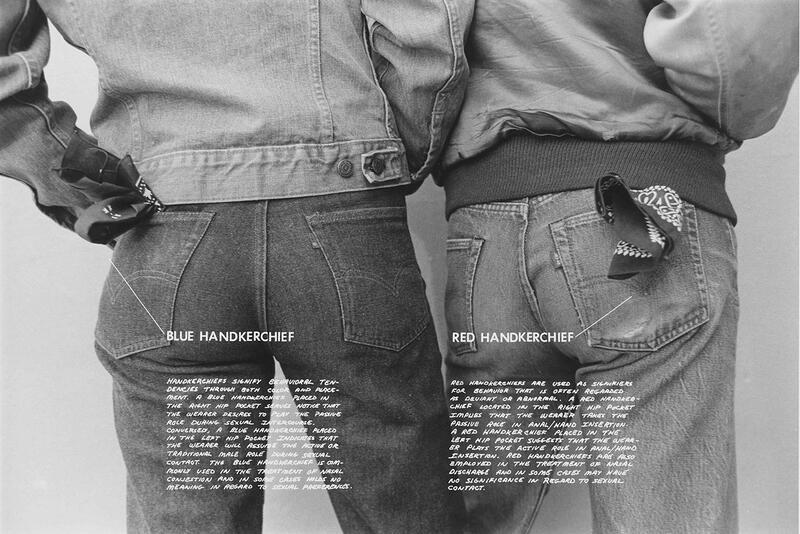 In the work, Fischer provided a humorous take on the various subtle methods of communication and identification gay men partook in during that time: donning handkerchiefs to identify sexual preferences or how to properly wear cowboy attire to fit into the archetypal Western prototype. Fischer’s previous work combined photography with drawing or painting, but for Gay Semiotics he decided to add text onto the images instead. It turned out to be a laborious process, one that he describes as a “low tech” way of doing things; it certainly wasn’t as simple as opening Photoshop and adding words. The text was printed onto acetate and the negative was then exposed through the acetate, which is why the lettering is white. Left: Street Fashion, Basic Gay. Right: Signifiers for a Male Response. Left: Dominance. Right: Archetypal Media Image, Western. Almost 40 years after its initial viewing, the work was shown at Cherry and Martin in Los Angeles through the end of February. For Fischer, it provided what he calls an extra 15 minutes of fame (“or 7½ twice”).